RockYou, one of the largest developers of social games and applications, this morning announced that it has inked a long-term deal with Facebook. Under the terms of the agreement, RockYou will be making Facebook Credits the exclusive virtual currency in its games and apps for the next five years. As is standard for developers on Facebook, RockYou will receive 70 percent of the revenue from Facebook Credits, while Facebook will keep the remaining 30 percent. 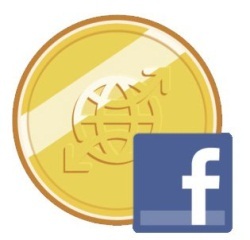 This marks another coup for Facebook, which has been aggressively trying to push third-party developers and publishers to use its virtual currency in their platform applications as of late. As Inside Network’s Eric Eldon pointed out recently, Facebook had so far convinced only CrowdStar and LOLapps to use Facebook Credits exclusively as the direct payment method, with rivals like Zynga participating but continuing to use alternatives. Zynga and Facebook most recently sparred over Facebook’s Credits initiative, which was introduced last April. Zynga was of course trying to negotiate to lower Facebook’s cut and in these earlier negotiations, things got pretty heated. Going back to today’s announcement, RockYou and Facebook separately announced that they teamed up earlier this year for the former’s advertiser-sponsored “Deal of the Day” program, which rewards people with Facebook Credits when they interact with in-game advertising. More than 1 million people completed the Deal of the Day with Facebook Credits in the first four days after it launched in April, the companies said in a joint statement. To date, RockYou claims it has issued over 5 million Facebook Credits in its “Zoo World” game alone, using both direct pay and advertiser-sponsored solutions.